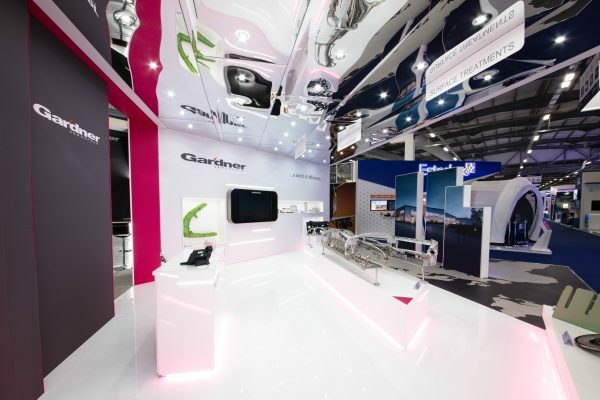 Railtex is the a leading international exhibition of railway equipment, systems and services, drawing in audiences of the highest level, consisting of managers, engineers and buyers alike. It took place between May 9th – 11th this year, at the Birmingham NEC, with two of our clients exhibiting with the help of their bespoke Priority Exhibitions stands. 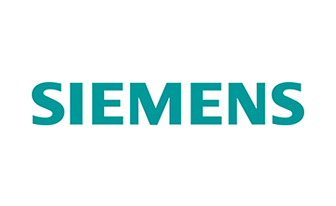 Siemens – Another Happy Client! 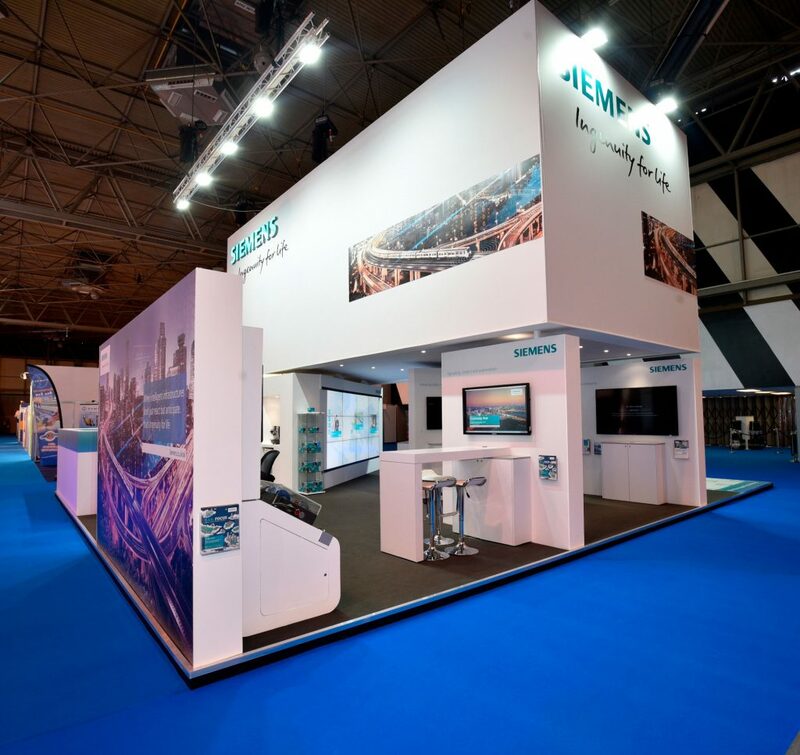 We designed and built a custom exhibition stand for Siemens, one of the exhibitors at Railtex 2017. When it comes to the railway industry, Siemens is a household name, with products and services including point machines, electrification equipment, train control systems and signalling maintenance. As with all of our bespoke stands, we put the time and effort into creating something special and unique to the specifications of our client, with which they were extremely pleased. Following their attendance at Railtex, they took the time to personally thank us for their ‘fabulous’ stand, as well as all of our hard work and support from start to finish. Service With A Smile – Always! At Priority Exhibitions, we pride ourselves on a professional service with a smile. 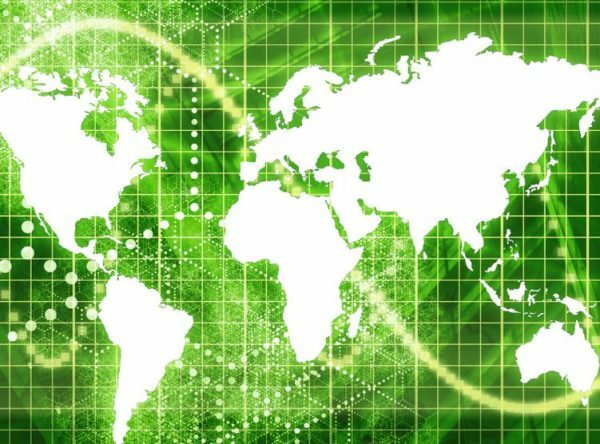 We love to meet new people and travel the world with our clients, delving into new industries and furthering our knowledge and expertise at every opportunity. If you specify your budget, we can let you know if we can create a stand that is suited to your wants and needs. Customer satisfaction is of the utmost importance to us, which is why it is so rewarding when we receive such great feedback from our clients, especially an industry giant such as Siemens. They appreciate how we worked to their requirements, adapting and offering new options and solutions in order to make the whole process as easy and stress-free as it possibly could be. “I just wanted to drop you a note, on behalf of us all at Siemens, to thank you and the Priority team for all your hard work and support in creating a fabulous stand for Siemens at this year’s Railtex exhibition. 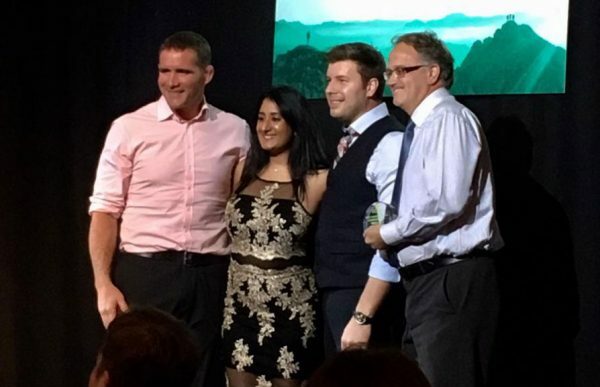 I’m under no illusions as to how challenging it was at times and I can honestly say that working with Priority helped to make this as stress-free and easy as possible for us. I genuinely truly appreciate all that you did and the way that you liaised directly with our ‘exhibit owners’ to understand their (often complex!) requirements and to present options and solutions. You made things as easy as possible for us without doubt. I’d also be really grateful if you would pass on our thanks to your contractors, including the AV team – they were all so professional and nothing was ever too much trouble. Do you have an exhibition or trade show coming up in the next 6-12 months? If you’re looking to exhibit at exhibitions such as Railtex in the next year, or any other kind of world exhibition, get in touch with the team at Priority Exhibitions now.. The event is unrivalled in that it presents an amazing opportunity for companies representing all aspects of the rolling stock and infrastructure sectors to come together with their customers and demonstrate what they have to offer. In terms of technological innovation, Railtex is the most comprehensive event of the year, spanning the entirety of the rail supply market.